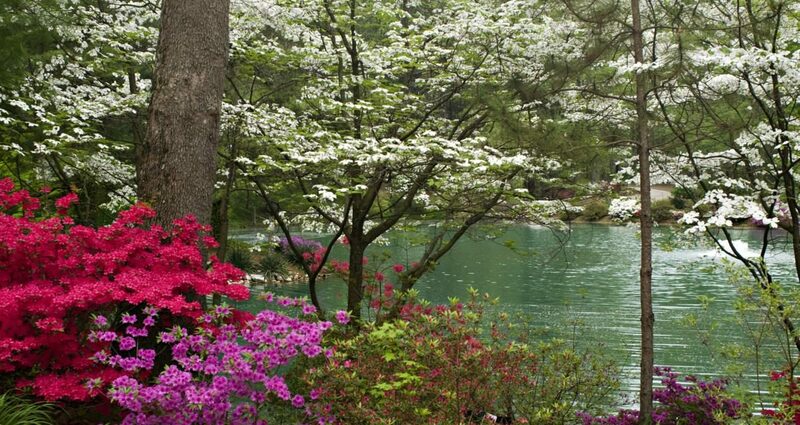 Whether your group wants to stroll through manicured rows of flowers on a brilliant spring morning or escape into a tropical rainforest in the dead of winter, Indiana boasts a bountiful variety of botanical gardens throughout the state. A 330-acre oasis in Valparaiso, Taltree Arboretum and Gardens is a tranquil collection of wetlands and prairies intersected with hiking and garden paths. Brimming with native grasses and wildflowers, the trails are a haven for birdwatchers; warblers, bobolinks, purple finches and bluebirds nest here throughout the year, and your group can also spot native beavers, frogs and turtles. 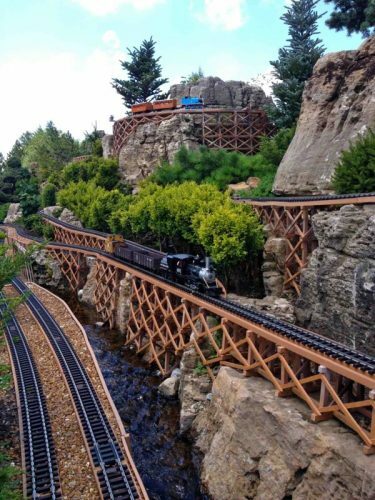 Themed gardens include the Oak Islands, a collection of nearly 40 different oak species from across the globe; the Native Plant Garden, home to hundreds of Indiana species and a monarch butterfly waystation; and the Railway Garden, which features model trains and elaborate miniaturized pioneer villages. Tucked in a forested valley along the banks of Lake Michigan, Friendship Botanic Gardens in Michigan City is a collection of over a dozen “ethnic gardens” that represent their country with native plant species and art installations. Developed alongside the 1933 Chicago World’s Fair to showcase unity in the international community, the gardens were gifted tulips from the Netherlands and welcomed England’s royal gardener to oversee the rare Persian roses. Today, your group can stroll through areas that represent Italy, Romania and Norway and admire the wildflowers in the Native American Garden. The facility also hosts group-friendly nature walks and concerts on its stage throughout the year. Farther east in Mishawaka, groups will embrace their zen by strolling the gardens of Shiojiri Niwa, a peaceful collection of bridges, waterways and floral displays that honor Mishawaka’s Japanese sister city. The signature qualities of Japanese landscaping—balance, tranquility and minimalism—are on full display in the garden’s perfectly pruned pines, an ornate teahouse and red bridges modeled after Matsumoto Castle. Paths here wind and bridges zig-zag (evil spirits can only move in straight lines in Japanese folklore), and rock gardens are arranged in groupings of five to represent fire, water, wind, earth and sky. Groups looking to learn more about Japanese history and culture can arrange a private tour and further explore the area’s beauty. 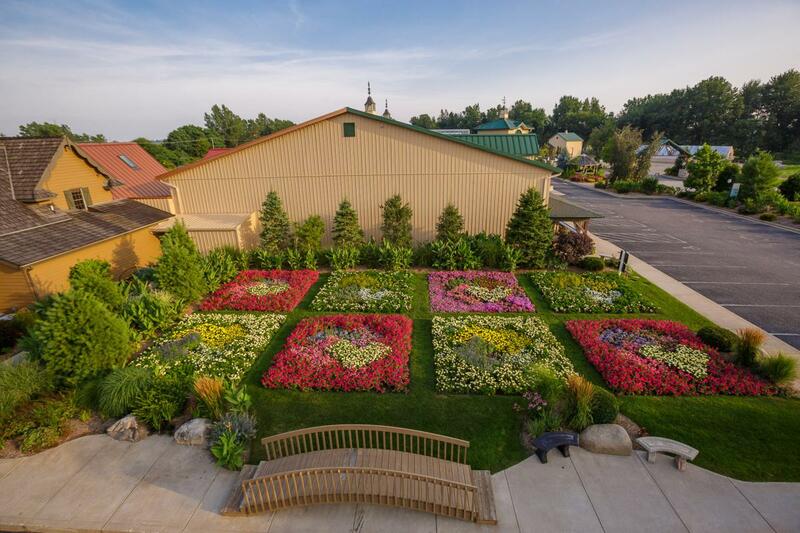 Scattered throughout public parks in North-Central Indiana, the Quilt Gardens are 19 supersized floral arrangements inspired by the region’s homesteading and Amish heritage. Your group can travel the 90-mile Heritage Trail through Elkhart, Goshen, Middlebury, Nappanee, Bristol, Wakarusa and Shipshewana to see these colorful patterns and the welcoming downtowns they enhance. Teams of horticulturists, landscapers and professional quilters collaborate every year to create the final designs, which range from simple geometric patterns to elaborate depictions of farmsteads. Quilt Gardens historians can accompany your group and discuss the centuries-old evolution of quilting. Groups who want to further combine a garden tour with history should stop by Warsaw Biblical Gardens, which consists of six microclimates that represent the different environments depicted in the Bible. In the Orchard, you’ll find pomegranates, grapes and other fruits mentioned in the New Testament, while the Desert includes the palm trees that shaded Abraham and Moses. Groups visiting the University of Notre Dame campus in South Bend will discover the Grotto of Our Lady of Lourdes, a miniature replica of the famed shrine in Lourdes, France that traces its history back over 150 years. In 1858, the Virgin Mary appeared 18 times to Saint Bernadette, a poor miller’s daughter in the French countryside who received holy visits when she retrieved firewood from a nearby grotto. Notre Dame founder Father Sorin was so touched by the shrine during a European trip that he vowed to recreate it in America, and the one-seventh-sized replica was completed in 1896 after two-ton boulders were imported from nearby farms. The shrine remains open to the public over a century later, and your group members can light a candle, pray and admire the landscaping. Commissioned to honor the 100th anniversary of Rotary International, The Wellfield Botanic Gardens are a 36-acre “living museum” that feature 25 themed areas. Intersected by the meandering Christian Creek, which still provides Elkhart’s water supply and powered the area’s 19th century mills, the gardens maintain their wetland heritage while integrating art installations, pagodas and reflective pools. Highlights include the Sensory Garden, which encourages guests to smell herbs and touch tactile sculptures, the Asian-influenced Island Garden and the Lotus Creek, a tranquil waterfront shaded by hickories and bordered by blooming rhododendron. One-hour tours are available for groups, and discounts are available for parties of 10 or more. Five hundred species from three continents thrive under the domes of Foellinger-Freimann Botanical Conservatory in downtown Fort Wayne. Inspired by turn-of-the-20th-century urban greenhouses, the complex is divided into four themed areas, each with a separate climate and layout. The Desert Garden populates its arid space with cacti and mesquite trees native to the Sonoran Desert of Arizona, while the Tropical Garden is filled with palms, vivid orchids and cacao trees from the Amazon Rainforest. Other rooms include the Seasonal Garden, which rotates its design quarterly to feature everything from German landscaping to butterfly gardens, and the Exploration Garden, which is populated with perennials and shady trees. 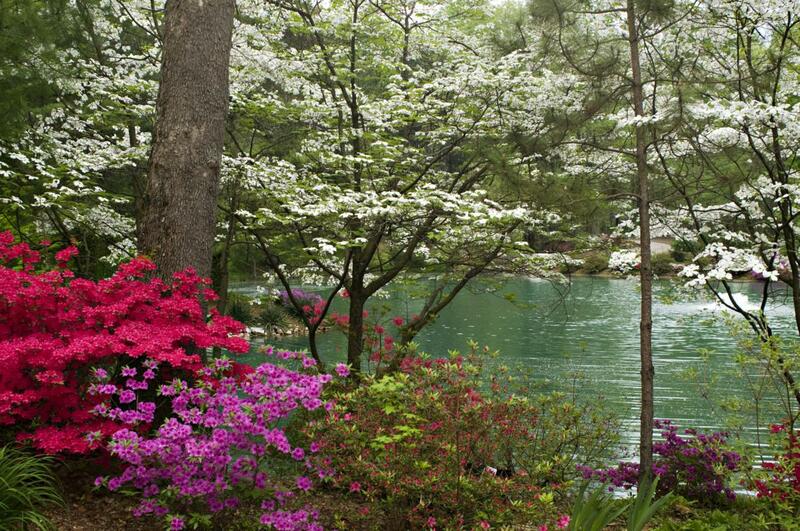 Located near Hazleton and the White River, Azalea Path Arboretum and Botanical Gardens reward visitors with a stunning display of more than 4,000 azaleas that bloom each spring. 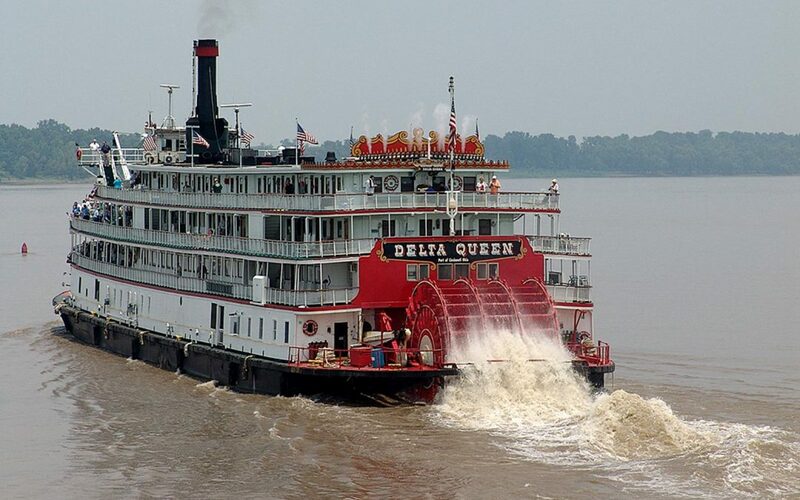 Blossoms of red, pink and purple will dazzle your group as it explores the 60-acre property that also includes two spring-fed lakes, waterfalls and a koi pond stocked with colorful fish. Three miles of hiking trails pass by mature magnolias, dogwoods and chainsaw sculptures created by local artists after the trees were damaged in a thunderstorm. An 1833 dairy barn converted into an interpretive center welcomes groups about to explore the 355 acres of Hayes Arboretum in Richmond. The property was established when railroad official Stanley W. Hayes in 1915 purchased a historic homestead and the surrounding old growth forest to preserve the pristine Indiana landscape. Today, the estate encompasses miles of unblemished woodlands, meadows and swamps that will transport your party to the 19th century. These woods host bird-watching hikes, mountain bike excursions and conservation seminars, so be sure to check on upcoming programming before you visit. Escape the urban bustle in the heart of Indianapolis with a visit to White River Gardens along the White River Trail. Operated in conjunction with the Indianapolis Zoo, the complex’s iconic area is the DeHaan Tiergarten (German for “animal garden”). This sprawling three-acre outdoor space is populated with whimsical animal sculptures that stand alongside the shasta daisies of the Heritage Garden, tulips of the Water Garden and beech trees of the Ruth Lilly Shade Garden. Next, venture indoors to the Hilbert Conservatory, a 65-foot-tall greenhouse filled with aromatic tropical greenery. Over 40 butterfly species will flit past your group members as they admire the Indianapolis skyline, and the greenhouse’s mezzanine level is populated with ferns, orchids and palms. For a dive into Indiana’s past, be sure to stop by the Heritage Garden, which blends traditional Hoosier species, like purple coneflower and hollyhock, with historic specimens transplanted from the President Benjamin Harrison Home. Continue to the city’s southeast side to find Garfield Park Conservatory, the oldest city park in Indianapolis and creation of famed German landscape architect George Kessler. The designer modeled the area after classical European greenspaces, and the three acres feature symmetrical flower beds, elegant fountains and concrete urns decorated with an oak leaf and acorn—the German symbol for prosperity. The sunken gardens boast thousands of brilliant tulip blooms in the spring, while autumn visitors can admire the mum arrangements. The adjoining Victorian-style greenhouse is accessible year-round and features carnivorous pitcher plants, sago palms and a Bodhi tree, the same species Gautama Buddha sat under when he achieved enlightenment. and Gardens, once home to famous industrialist Josiah Lilly and now a restored country estate with gardens that retain the look of 1940s landscaping. Docents can lead you through the Four Seasons Gardens, which features a quadrant design; the Orchard, a postwarstyle tract that grows sunflowers and vegetables, and the Madeline F. Elder Greenhouse, which offers horticultural programming for groups. A combination of nursery, garden and amusement park, Linton’s Enchanted Gardens in Elkhart is a family-friendly option for groups that include children. Whimsical miniature fairy houses, windmills and pagodas dot a landscape of shrubs and evergreens available for purchase, and attractions like go-karts, bumper boats and a petting zoo will occupy younger guests as you admire the hundreds of species. Running a spectrum of color and size, the botanical gardens of Indiana will surely plant seeds of horticultural interest in your group. Whether you prefer a free-form meander through a tranquil space or an interactive exploration of the state’s natural beauty, you’re sure to find a garden experience perfect for any party.